Warborough Green is one of the finest village greens in the country. The Green is governed by a number of Acts of Parliament, with Warborough Parish Council acting as trustees. Historically, the Green has given various rights to parishioners, but is now primarily used for recreation. The Green has a mixture of sycamore, lime, oak and horse chesnut trees, and is bordered on the north and south sides with a single track road and numerous residential properties. The Six Bells pub is located on the south-west corner of the Green. 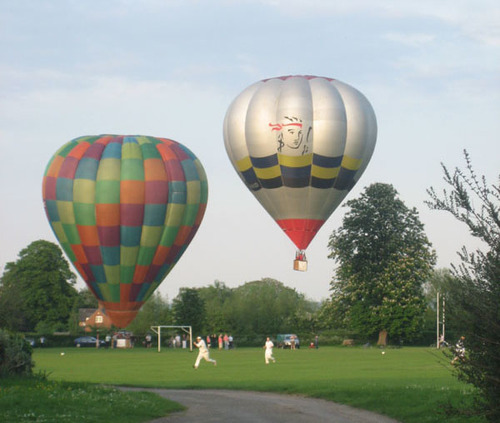 The Green is the home ground for Warborough & Shillingford Cricket Club, and is used for the Sunday morning car boot sales in the summer months. The football pitch currently has no resident team. Interested clubs apply to Parish clerk. The cricket square is maintained throughout the year by the Cricket Club. One of the two village play areas is located on the south-east side of the Green. Tennis Courts and Allotments are located on the eastern boundary. The Green has been used many times as a location for TV filming including Jeeves & Wooster and Songs of Praise. In recent years, Warborough Green, the surrounding houses and the Six Bells pub have all been used as a location for numerous episodes of Midsomer Murders.